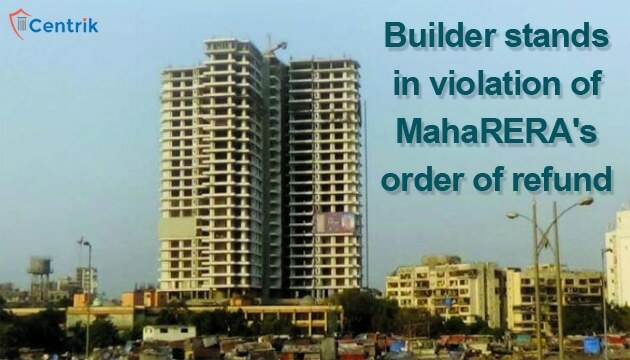 MAHARERA being true its past judicial actions are still passing quite appreciable orders which stands in benefit and justice of aggrieved homebuyers. The issue though remains that the Authority may pass the best of orders but compliance by the builders is still a far cry. Ruling in light of Section-13 of the Act which states “A promoter shall not accept a sum more than ten percent of the cost of the apartment, plot, or building as the case may be, as an advance payment or an application fee, from a person without first entering into a written agreement for sale with such person and register the said agreement for sale, under any law for the time being in force……………………” The RERA authority of Maharashtra ordered a builder to refund an amount of Rs. 1.8 Crore to a homebuyer. The buyer had booked two apartments in the project of Oberio Reality. The builder in lieu of the booking charged a whopping amount of Rs. 1.8 Crore in lieu of flat being of Rs.90 Lakh each. Even after the passage of two years the builder failed to register agreement to sale and had already charged 30% of the price. The Authority ruled that in such case where the builder stands in gross violation of Section-13 of the Act the only way to do justice is to order refund. Post the order so far the builder has only refunded 20% of the amount. Such non-compliance of orders is a dark reality in almost all states where RERA is operational for more than one year. Such sorry state of affairs is something which needs immediate action by the Authorities and the concerned State Governments. It is no rocket science that compliance of orders is what makes justice possible.